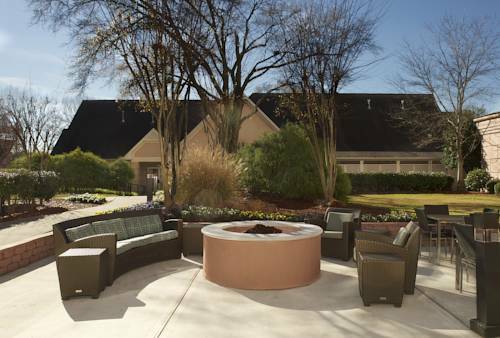 Plan a relaxing, rewarding visit to our extended stay hotel in Atlanta's exciting Buckhead neighborhood! The Residence Inn Atlanta Buckhead/Lenox Park features studio, one- and two-bedroom suites with fully-equipped kitchens and separate living areas. You'll feel right at home at our hotel with thoughtful amenities including free wireless Internet access and flat-screen HDTVs. Enjoy a hot buffet breakfast every morning before heading off to work or to explore Buckhead and Atlanta. Meet your fellow hotel guests at our evening socials. Maintain your workout routine at our fitness center, or simply relax by our pool. Our hotel boasts a perfect location in the heart of Atlanta, making it easy for you to get to the MARTA station and other top Atlanta attractions during your extended stay. And through it all, you'll be treated with the friendly, helpful service that you've come to expect here at Marriott. Book online at the Residence Inn Atlanta Buckhead/Lenox Park now. We look forward to welcoming you!